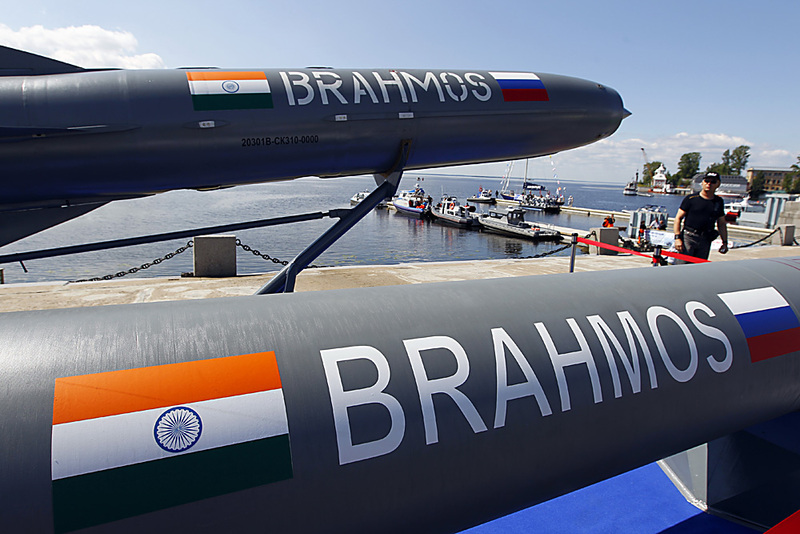 BrahMos, a word combining Brahmaputra and Moskva, is a short-range supersonic missile, which has been in manufactured by the Indian Navy since 2005. The regiments will be inducted in Indian Army within 15 days, Defense Minister Manohar Parrikar said. Two more regiments of the BrahMos supersonic cruise missile jointly developed by Russia and India will be inducted into the Indian Army within approximately two weeks, Indian Defense Minister Manohar Parrikar said. The country’s army already possesses three regiments of the Block III version of BrahMos missiles. The induction of new missile regiments is expected to boost India's air defense capabilities. "The process of induction of two more regiments [of BrahMos missile] in the Indian Army is in the final stage and within 15 days, these regiments will be inducted in Indian Army," Parrikar was quoted as saying by the Press Trust of India news agency on Thursday. BrahMos, a word combining Brahmaputra and Moskva, is a short-range supersonic missile, which has been in manufactured by the Indian Navy since 2005. The missile has a range of 180 miles and can carry a conventional warhead of up to 660 pounds. On Monday, head of the Russian-Indian BrahMos Aerospace enterprise, Sudhir Mishra, announced that a BrahMos cruise missile may be installed on a Fifth-Generation Fighter Aircraft (FGFA) being jointly developed by Moscow and New Delhi.